WikiBranding: What's your brand narrative? I've posted before on how great brands have a sense of true north -- a compelling point of view that shapes their beliefs and actions and keep them moving forward with an infectious sense of momentum. I want to expand on that and add another dimension -- great brands also know what they oppose. Three brands illustrate this point. 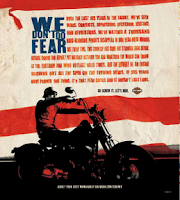 Harley Davidson's new campaign, "screw it, let's ride", is a powerful manifesto for the brand. This campaign found a way to link Harley's defy authority ethos to today's zeitgeist of war, recession and slippery politicians. The campaign and website unite a community in a crusade against fear. The Dove "Real Beauty" campaign shook the cosmetic world a few years back by standing up for individual self-esteem and exhorting people to question and defy the pretense of media-defined beauty. For over two decades Apple has been on a crusade in celebration of creativity by demonizing grey conformity. This was set in motion in its epic "1984" spot, continued through its "Think Different" positioning and still exists today in its cheeky "Mac vs. PC" campaign. What all three brands have in common is an appreciation of narrative. In any great story a protagonist must also have an antagonist. Every hero's journey involves overcoming challenges and adversaries, whether they be dragons, tyrants or competitors. So what's the lesson for marketers? Create a compelling story, not just a strategy. Go beyond defining what you stand for; decide what you oppose. The most passionate causes tend to be in pursuit of both -- an ideal that inspires and a status quo that must be vanquished. It is the yin and yang of these two forces that trumpets a call to arms. 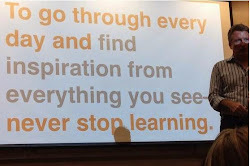 Great question: what brands are ripe for this type of "hero's journey"? Jeep could be an advocate of our pursuit to find meaning and freedom and a foe of walls and asphalt. Coke could be an advocate of friendships and shared moments and a foe of isolation and social divisions. Microsoft Office could be an advocate of the common language uniting people and cultures and a foe of senseless barriers. Thanks for asking the question...this could be a good parlor game (for brand wonks). yes on Jeep. Coke could do more. and...wow on Microsoft Office — brilliant strategy. what about Electronic Arts? Nintendo has captured the hearts and minds of the people with the wii. What does anyone feel for the EA brand? EA should stand for limitless imagination and a foe to the expected. Hey David - did Coke see your comments here when creating their current campaign!!!! !